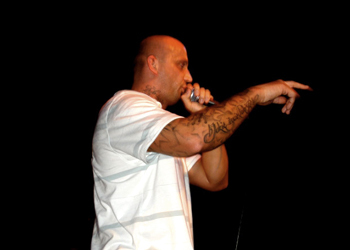 Award-winning hip-hop artist Peja, frontman of the group Slums Attack, has been charged with inciting fans to assault a member of the audience at a recent gig. The rapper could face three years in prison if found guilty. The incident occurred at a concert at Zielona Góra this September. At the tail-end of the show, Peja, real name Ryszard Andrzejewski, became dismayed with a member of the audience, who he claims insulted his honour. Video evidence, which has since been removed from the YouTube website, appears to show Mr. Andrzejewski encouraging the audience to take action: “You know what to do with him, right? F**k the mother f****r up!” he declares. Several members of the audience decided to take Mr Andrzejewski up on his request. Two court cases are now pending, one against the artist, the other against those who took part in the attack. The city authorities joined forces with the victim’s father to press charges.